Great service and fast response. Called late Thursday and got booked in for following morning. Two gas fires capped off quickly and efficiently. Wouldn’t hesitate to recommend. CJ Heating did a excelent job of fitting a new Vaillant boiler for us in August. Chris worked very hard on removing our old boiler and was very clean putting down covers to protect carpets. He spent time explaining everything on the workings of the boiler. We have rung him on two occasions with questions and always get a prompt answer. Chris did a great job and at a fair price will have no hesitation in recommending him to friend and family. We have had a new Vaillant boiler fitted and are very satisfied with the service provided by Chris. We would certainly recommend him . First class job with no compaints at all, it is the first time we have dealt with CJ Heating but would have no hesitation in using them again. Your testimonial: Called for faulty boiler, quick response, good price would recommend. Plumbing for washing machine and dishwasher. Report Review Great service really helpful and honest. Report Review I would recommend Chris to anyone. Very helpful and efficient.. value for money. No mess left house as if he had never been. If you want quality service and efficiency without having to pay the earth for it then call Chris. Report Review Chris was punctual, efficient and carried out the job in good time. He explained what he was doing and left the utility room in good order. Report Review Right from the start Chris was very helpful and offered advice. The work he did was very professional and to a high standard. The work was completed very quickly and Chris made sure everything was cleared up when he had finished. 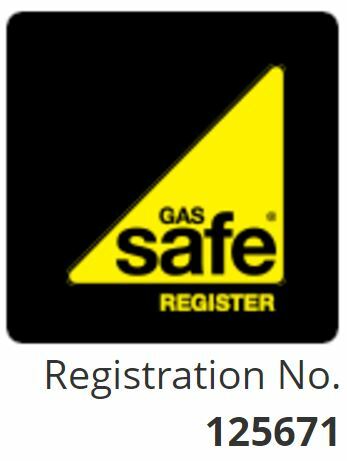 Report Review Very fast efficient service, went out of their way to remove my gas fire on an evening as my new one had already arrived. Would highly recommend! Report Review Always very helpful, always done my boiler service and even fixed a fault in a prompt time so I was not without heating. Just recently fixed (rectified) a job another plumber did (used other plumber due to CJ heating to busy wished I would of waited) Would recommend always polite and does great work. Vintage brass taps constantly dripping. Chris came out promptly and at the agreed time. He Fixed the dripping taps very quickly and at a very reasonable price. Would recommend. WEe have used CJ Heating to look after our plumbing for a couple of years, when they offered to quote us for our bathroom we were sceptical about the price – but when Chris took us through the pricing we were surprised, we looked in all of the DIY and bathroom places locally and we couldn’t get a better price. Chris & Joe managed our bathroom refit from start to finish, sourcing tiles, furniture and lighting – and all at very reasonable costs. They were quiet, cleaned up after themselves and efficient. If we had an issue they would sort out. They sorted all of the other trades, electrician, tiler and tiler and each of them also did a fabulous job and at a very good price. Just had this Company round to replace our aging central heating radiators. Did a fab job, polite and tidy and all at a very good price. Would highly recommend them and we are pleased we found them. Well done Joe & Zack. ! Had a leak on the hot water tank,Chris came out within a few hours to stop the leak even though it was on a bank holiday and also a day before we went on holiday. Joe fitted the new tank he was very tidy and professional. Excellent service. Would recommend to anyone needing a good, reliable plumber. Had problems with the shower going hot and cold. Have now a reliable shower that works perfectly. Found Joe was reliable, left the house as he found it, no cleanig up after he left. He’s friendly and explains what needs doing without being too technical. The price was exceptional, much less than I expected. Will definitely recommend to anyone needing a plumber. Thanks Joe. The first time we have used CJ Heating. Looked at their website and reviews and they did not disappoint. Emailed them about doing a radiator power flush. They rang back the next day with a time and day. They Joe and Jake) turned up and set up everything. They talked me through what they were doing and why. Lovely lads, very tidy and would definitely use again. Thank you. I required the extension of my existing central heating in my 130 year old house which I thought would cause problems. I asked C J Heating to look at the job and give me a quote which I found very reasonable. The work was undertaken very professionally by Joe and Zac with very little disturbance to the household. They worked efficiently and completed ahead of time. We found them accommodating , polite, friendly, and knowledgeable about current standards. They also left the house clean and tidy. A big thank you to Chris, Joe and Zac. I wouldn't let any other plumbers in my house now! I’m a pensioner living in a very old house with a very old gas heating system that has been modified several times over the past 25 years. For safety reasons I knew I needed to replace and re-position the boiler, but I was worried about the law regarding flues etc. I found CJ Heating on Google, and I liked the reviews (but never sure how trustworthy reviews are). I called, and Chris came round a couple of days later. Chris advised me that I could relocate the boiler to the position that suited me best. Chris comes across as knowledgeable, reliably, and honest. He emailed me a very competitive quote 2 days later, which I accepted because I knew it was hundreds of pounds lower than British gas, for a superior boiler. Less than a month later Chris brought his son Joe round to look at the job, and Joe seemed to view the job as quite straightforward and nothing to worry about. Joe arrived the following week, with Zac (his apprentice). Nothing seemed to phase them and they just quietly got on with what seemed to me to be a horrible job involving sorting out all sorts of problems with previously installed plumbing mistakes. My past experiences with plumbers has been that they complain a lot about everything from their knees to the state of the world —— nothing of the sort with Joe and Zac. The finished result exceeds my expectations in every respect. Zac and Joe were constantly cleaning up, and at the end of the job (apart from the new boiler and pipework) it would be hard to tell that a big plumbing job has been done. I wouldn’t have any other plumbers in my house now! We have used CJ Heating for all our plumbing requirements for at least the last 25 years. From repairing our central heating system to plumbing in a new kitchen they always give a professional service at an excellent price. Trustworthy, nice guys who offer a very efficient service. We use C J Heating for boiler service and general plumbing work. They always confirm a date and time and stick to it. Happy, friendly guys that you can trust and have confidence in. We can highly recommend C J Heating and Plumbing. What a great outfit, Boiler broke on 23rd December and Chris and Joe came within the hour, sadly the boiler had expired. Then turned out Christmas Eve and fitted a new one for me. Very professional, Extremely clean and tidy and took a lot less time than I expected, But did not short cut. Had a new boiler and accessories fitted which was fitted within the day and I am extremely please with the work carried out as they did a very professional, neat and tidy job. I would highly recommend them. Emergency call out to burst pipe early Sunday morning. Prompt response and problem solved quickly. We would definitely recommend and will use again if we need to. Rapid response to call out for faulty tired old boiler on a freezing cold day, was expecting bad news of a new boiler requirement but Chris managed to source the spare parts needed and had it fixed in no time. Great guys. Boiler broke and they came Christmas eve and fit a new one. Very professional nothing too much trouble.. highly recommended. I’ve just had a full system put in by cjheating, it’s been done in no time at all and the standard of service was excellent. The guys, joe and Chris are very good at what they do and make sure you know everything you need to before they leave. This is the second time I’ve used this company and certainly won’t be the last. If you want a job doing right, these are the guys for you. Very competitive rates as well. I can’t praise Chris enough. We needed to call him recently and he arrived within a few hours, analysed the problem, explained clearly what he would do and sorted it that day. He’s been our plumber for about fifteen years and he’s never let us down. He advised us when we had to purchase a more efficient boiler and it’s brilliant. Very satisfied with the work that Chris did. Came out at short notice to fix a hot water problem. Very reliable. Chris fitted our boiler and services it every year, which has always been efficient and good value. This year we had some problems and he worked very hard to get them sorted for us. He liaised with manufacturer, spares supplier and electrician and came out several times to get things resolved. He was also really flexible with timings and access which was a huge help. I have used CJ Heating for some considerable time and have always been very satisfied with the work done. I have always found Chris to be reliable and efficient. After being let down by another plumber, I called Chris at 9:20am on a Saturday and he was at my property within 10 mins. The problem was solved with a new part and he left 40 mins later….he even gave the carpet a quick vacuum! Nice chap and excellent swift service. Had a boiler service from Chris. He kept in touch from my first contact with him and arrived bang on time (actually 1 minute late if I am honest). He was professional and offered advise on the best way to use my thermostat. Chris’s friendly prompt service was just what was needed. I would highly recommend his service. We have used C J Heating (Chris) numerous times, re general plumbing and Gas central heating issues,always prompt, gives 100% service, and very reliable, highly recommended. Great service and fast response. We have had a new Vaillant boiler fitted and are very satisfied with the service provided by Chris. We would certainly recommend him . First class job with no complaints at all, it is the first time we have dealt with CJ Heating but would have no hesitation in using them again. Called for faulty boiler, quick response, good price would recommend.